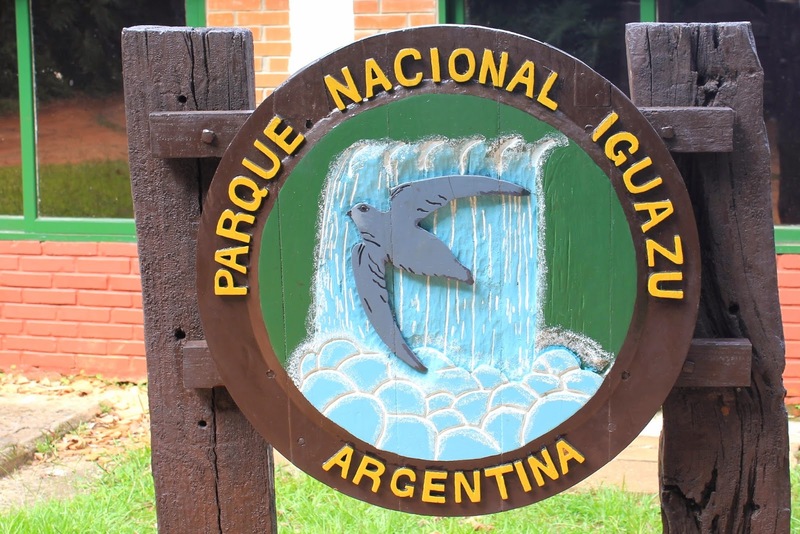 There are many species of birds living around the Iguazu Falls, but when you're on the Argentinian side, standing in "La Garganta del Diablo" lookout ("the Devil's Throat"), you'll see hundreds of little dark-coloured birds flying in and out of the monstrous waterfall. 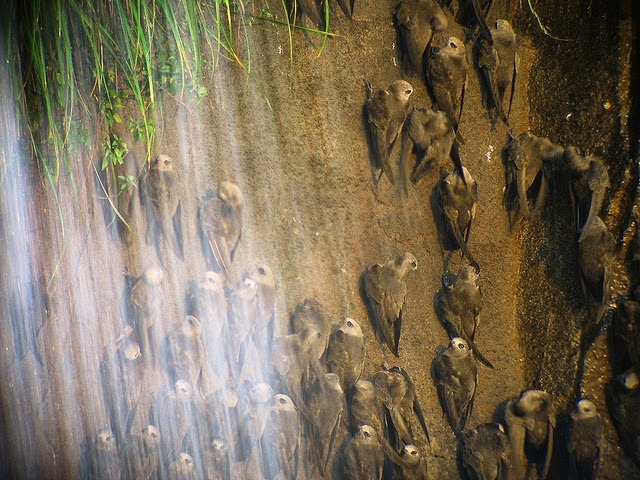 They are Great Dusky Swifts. The enormous force of the waterfall is something to marvel; but then you see flocks of these fearless birds fly around and through the falls. Their nests are hidden behind the water. Incredible.